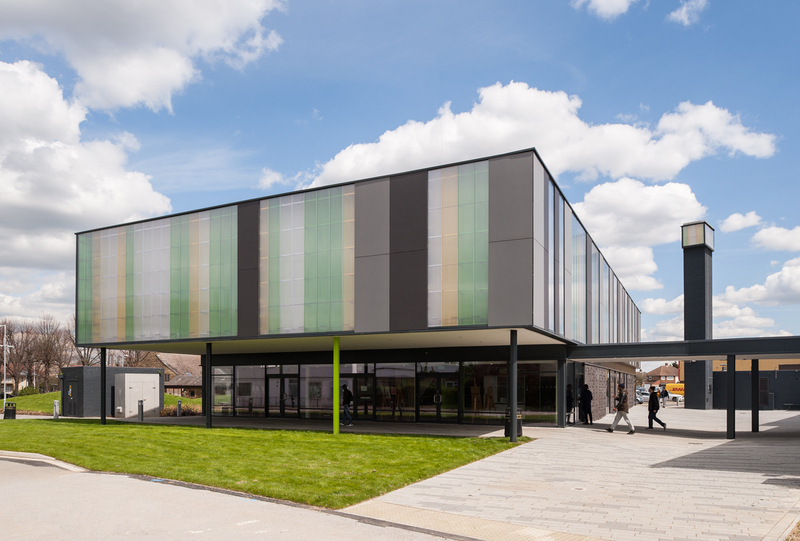 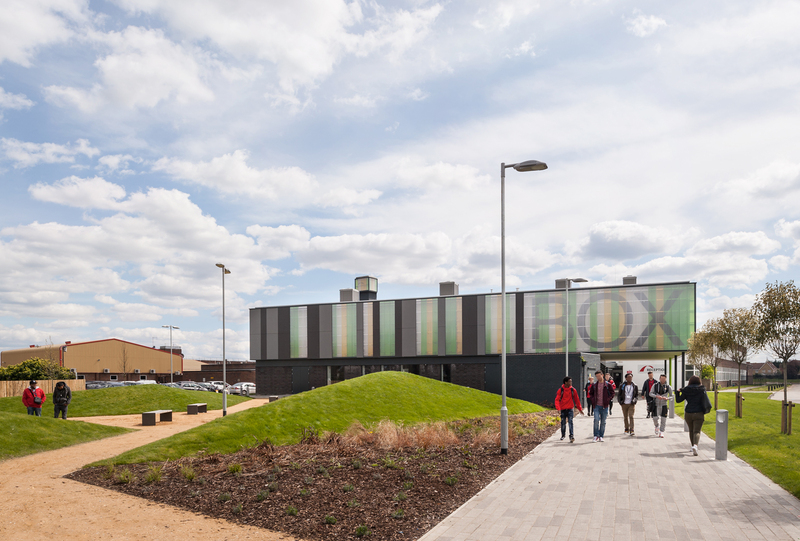 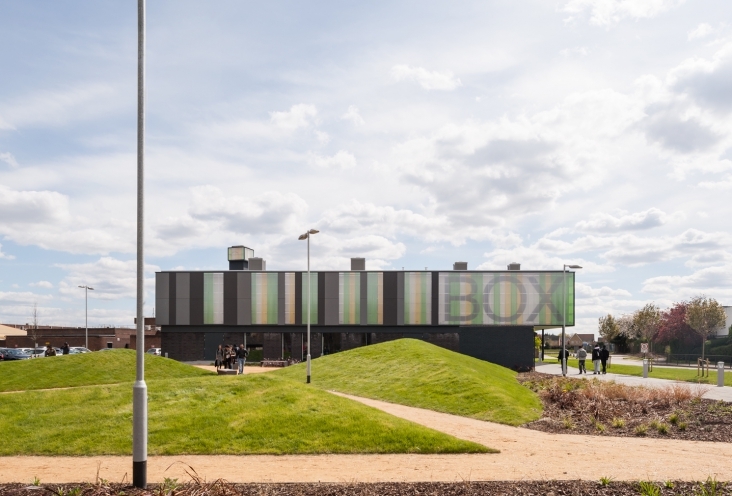 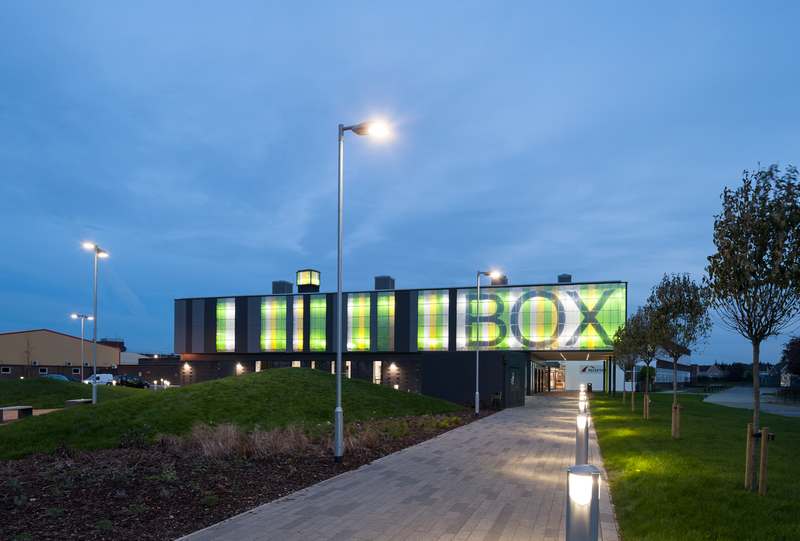 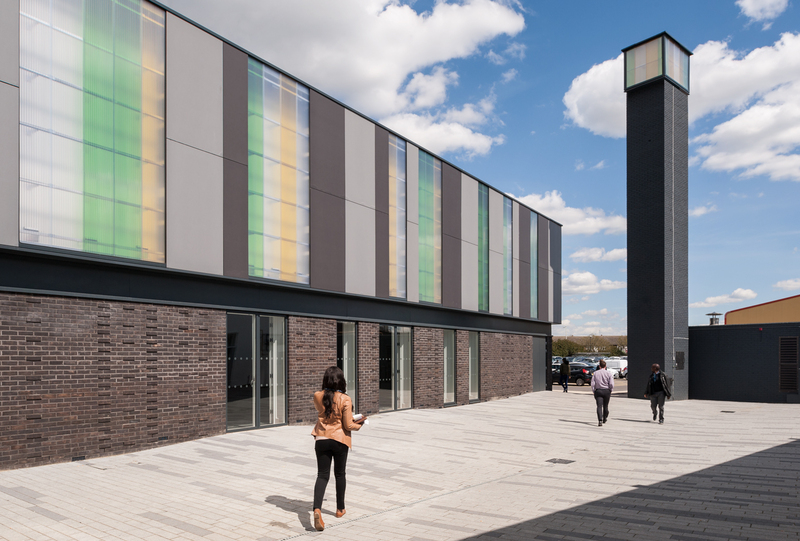 We designed the ‘Box Theatre’, a performing arts building at Redbridge’s Chadwell Heath campus, as part of a masterplan study for the College. 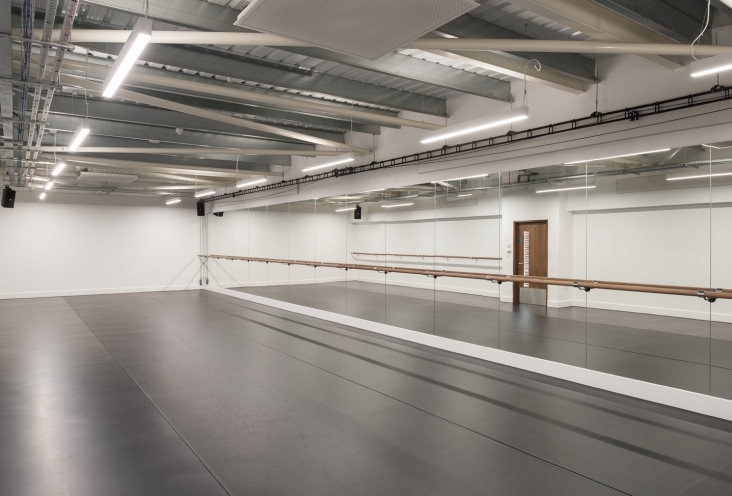 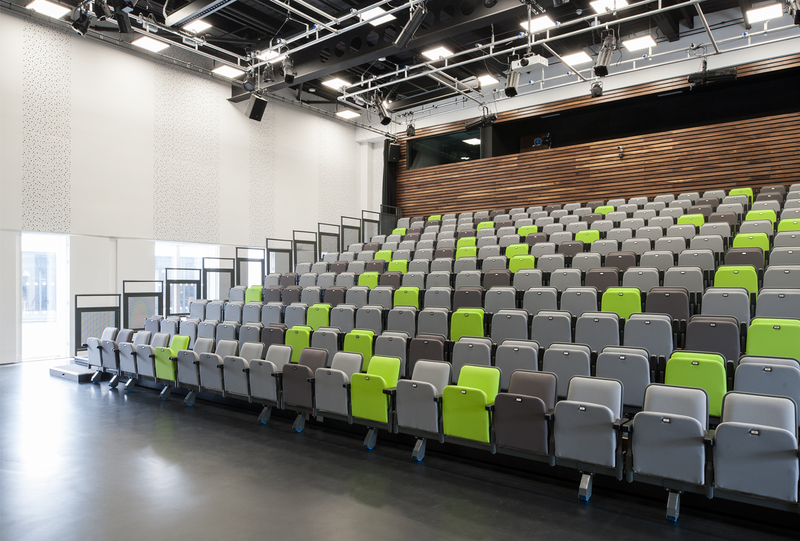 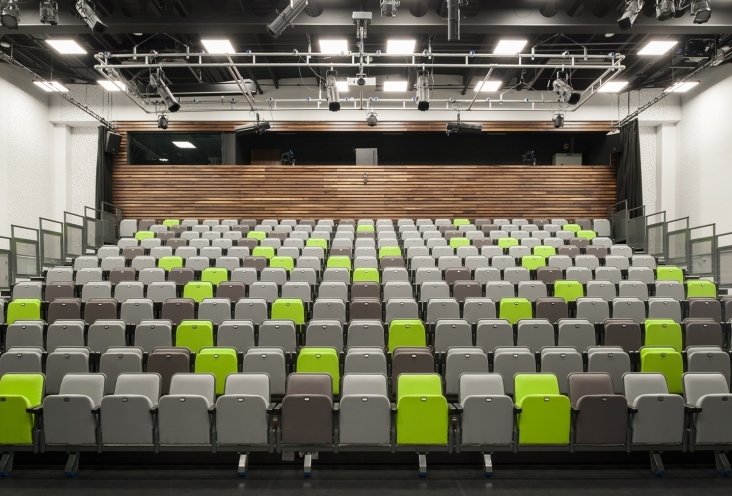 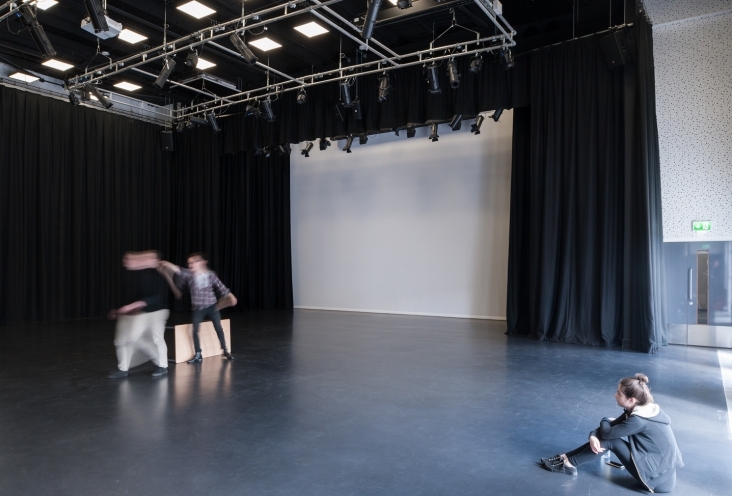 The new theatre is made up of music recording studios, teaching spaces and a 264-seat performance space. This performance space doubles as a multi-purpose hall with retractable seating making room for enrolment, exhibitions and gatherings. 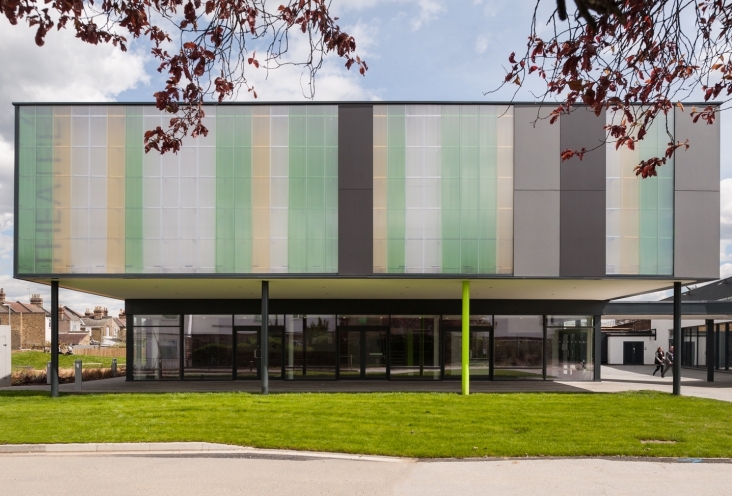 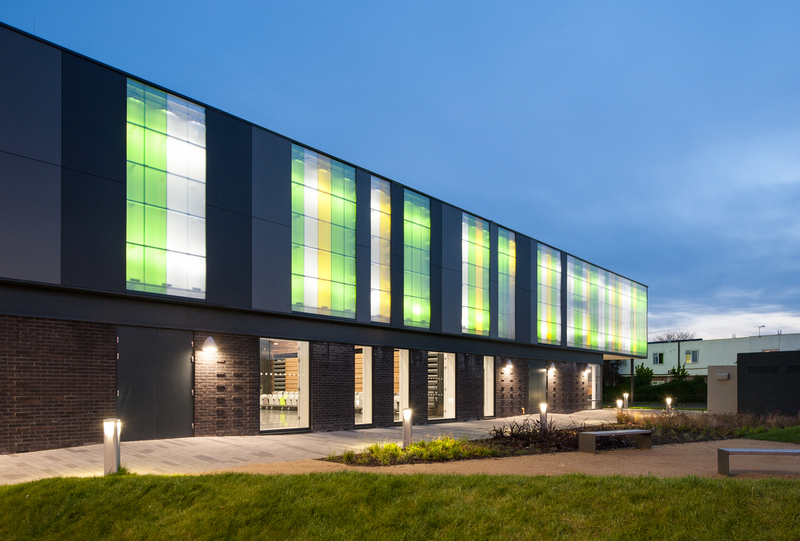 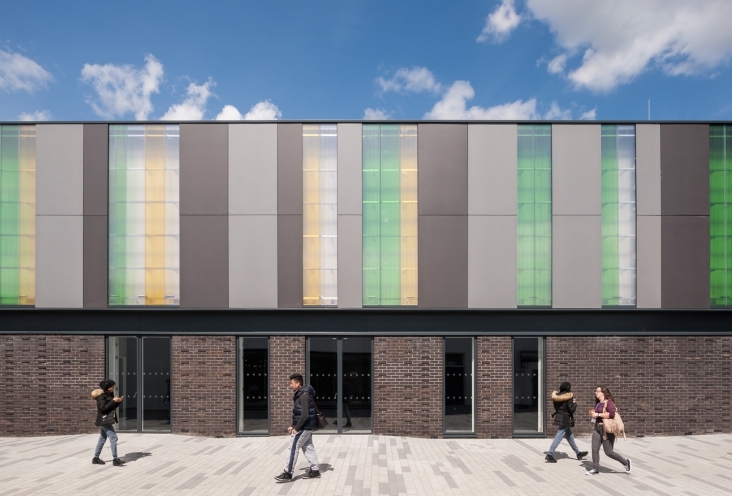 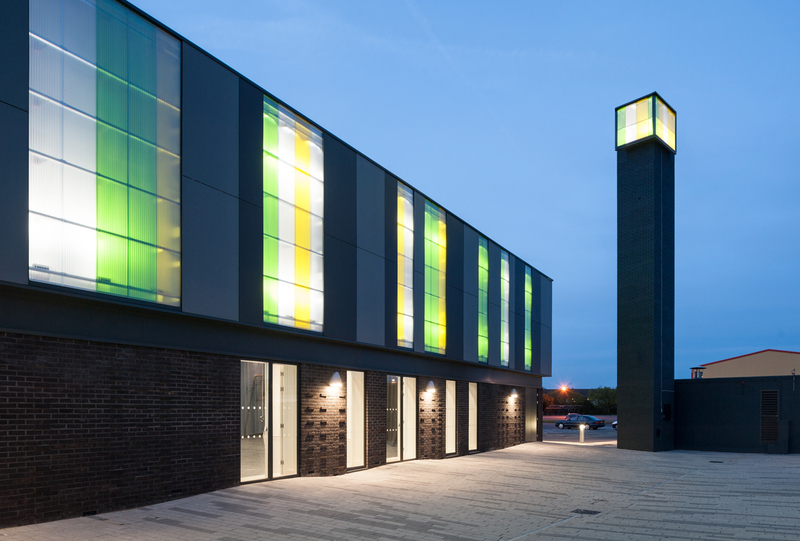 The building is conceived as an elevated translucent box sitting on a plinth of black brickwork, clad in coloured, translucent glazing to create a vibrant facade. 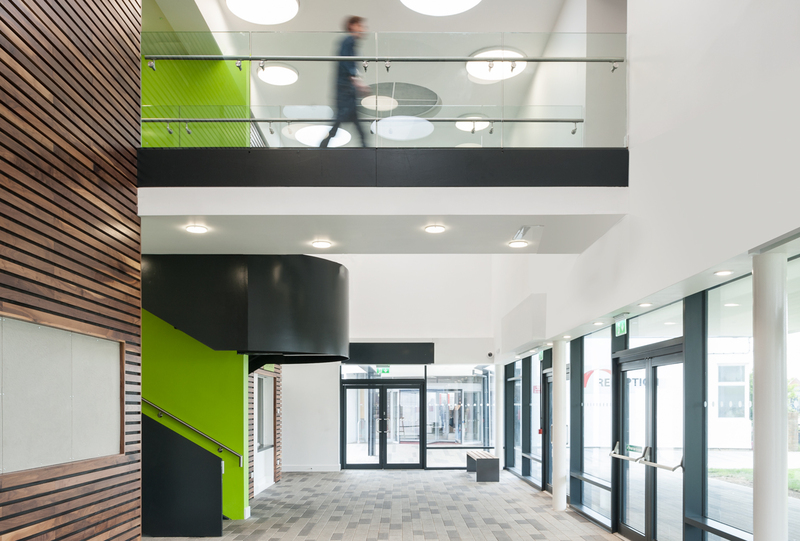 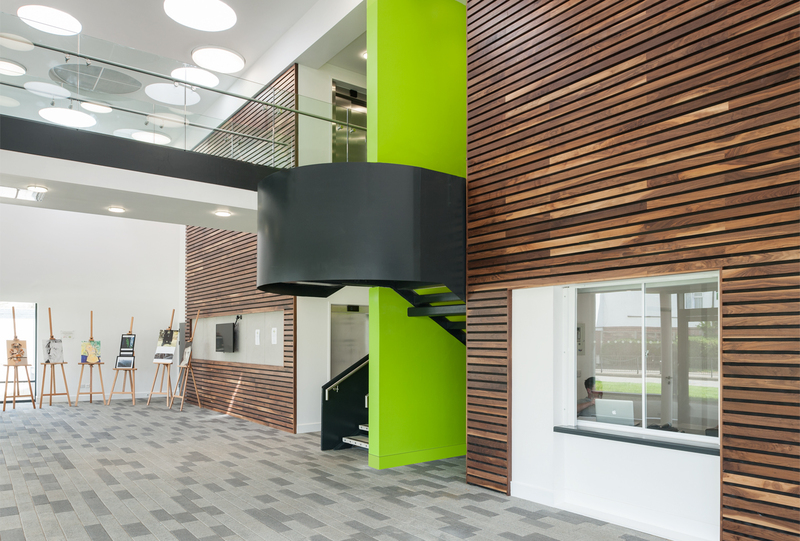 The reception area sits within a double-height foyer area, creating the new entrance and updated public face of the College.